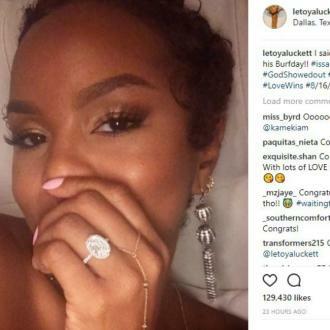 Letoya Luckett has got engaged to her new beau Tommicus Walker, just a year after divorcing ex-husband Rob Hillman after just two months of marriage. Letoya Luckett is engaged - just a year after getting divorced. The former Destiny's Child band member split from Rob Hillman last August just two months after tying the knot, and she is set to wed again after her new beau, entrepreneur Tommicus Walker, popped the question on his birthday. LeToya's brother Gavin Luckett uploaded a video of the proposal on his Instagram account, in which Tommicus is seen going down on one knee in a restaurant, where their friends and family were celebrating his birthday. She then nods her head in approval and bends down to embrace him before breaking down in tears and giving him a kiss on the lips. LeToya, 36, struggles to hold back the tears as he places the ring on her engagement finger. 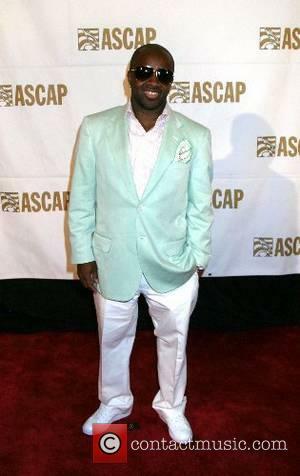 The singer - who made up one quarter of the original Destiny's Child line-up alongside Kelly Rowland, Beyoncé Knowles and LaTavia Roberson - and Rob were said to have grown apart last year resulting in their split. There was no property to divide between them both, and the former couple agreed to prevent their separation from getting too complicated and spiteful. They both signed a clause regarding to public statements and social media posts, forbidding both of them from slating one another.